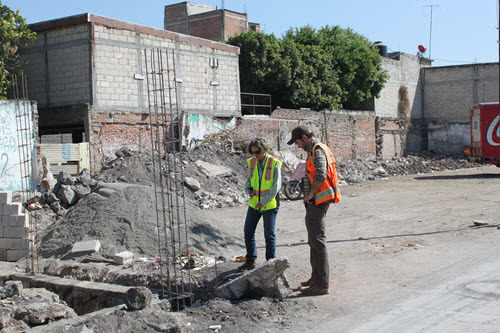 An ASCE Infrastructure Resilience Division team traveled to Mexico this month, gathering information about the region’s recent earthquakes to help engineers better understand how to make infrastructure more resilient. 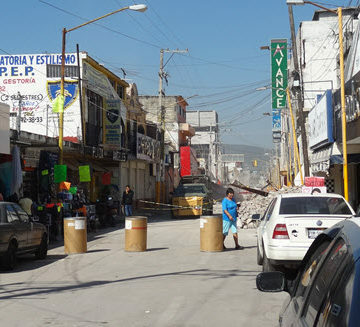 Dust still fills the streets of Jojutla, Morelos, more than six weeks after a magnitude 7.1 earthquake devastated the city center. Located in Morelos state south of Cuernavaca near the epicenter, Jojutla had more damage per capita than Mexico City. A memorial in front of the heavily damaged historic city hall lists the names of 27 people who lost their lives here, including 1-year-old Saraha Sofia. Now, Jojutla’s 57,000 residents are slowly returning to normal life. The dust in the air today is from construction and demolition, rather than from the collapsing buildings that took so many lives. 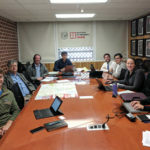 The ASCE Infrastructure Resilience Division Mexico investigation team is here to learn lessons from the earthquake’s impacts, with the intention of improving resilience of hazard-vulnerable communities around the world. 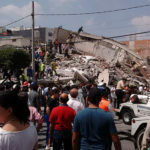 At the Hospital General Dr. Ernesto Meana San Román, just outside the heavily damaged zone, Director B. Heriberto Ortega Diaz described what happened in the critical hours after the shaking stopped. Fearing for their safety, the staff evacuated the hospital. Family members and kitchen cooks helped to quickly get patients out; the whole effort took less than 20 minutes. 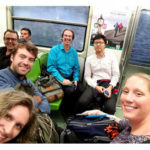 Several staff members volunteered to go back inside to help complete a Caeserean section delivery operation that was ongoing at the time of the earthquake, despite not knowing whether the building was safe. Power was out, water pipes broke in the ceiling, and medical records fell from shelves. This type of damage reinforces similar lessons from past earthquakes that in order to continue functioning, hospitals need to anchor systems and contents, in addition to ensuring the building itself suffers minimal damage. 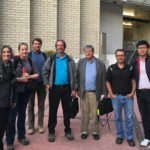 The hospital staff and patients were not waiting outside in the parking lot very long; help arrived quickly from Guadalajara, Hidalgo and Mexico states, which sent mobile hospital units to the heavily impacted city center. Relocating there, the hospital staff worked tirelessly in tents for four days, treating more than 350 injured people as supplies ran low. After the fifth day, part of the hospital was inspected and declared safe, and had been cleaned up sufficiently to allow it to reopen. Dr. Diaz walked us through the damaged administrative wing, pointing out the cracked and leaning panel on the outside that is keeping this part of the building closed. Ironically, this is the new part of the building, only five years old; the older part, damaged and repaired following the magnitude-8 1985 earthquake that devastated Mexico City, is open. 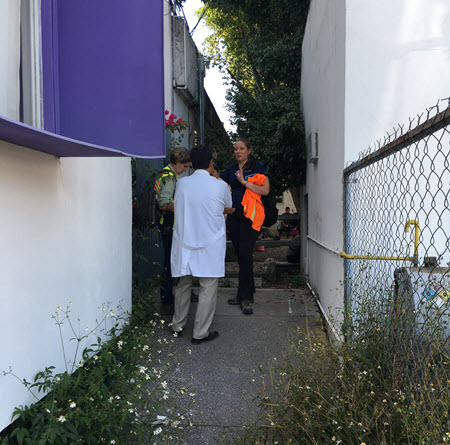 As we prepared to leave the damaged building, Dr. Diaz told us that many of his staff remained at work, saving others, despite losing their own homes. He was one of them. As engineers, we need to redouble our efforts to provide dedicated professionals like Dr. Ortega Diaz with safe homes and functional hospitals so that they can continue their lifesaving work unimpeded. We hope that other hospitals in the United States and around the world will heed the lessons from this earthquake – and numerous others – and prepare ahead of time.